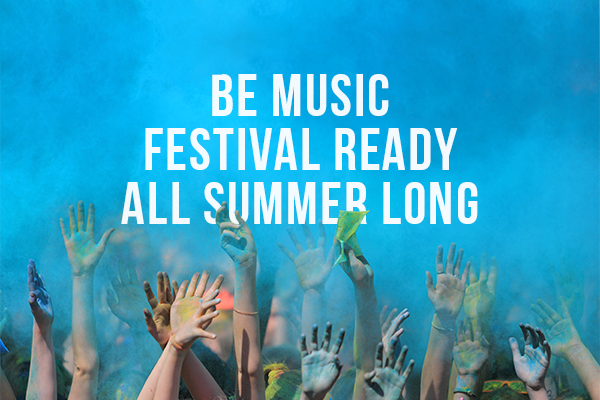 Music festival season is always a fun time, but it can get stressful quickly for your clients. Between figuring out ride shares, Airbnb reservations and the perfect festival outfit it can be easy to overlook the small stuff. Here a few festival hacks that may be simple, but can make a huge impact on your client’s positive festival experience. Keeping track of festival lineups can get overwhelming fast. Especially if music festivals have multiple stages, or artists keep getting dropped and new ones added, it can be difficult to keep track of the bands you want to see and the stage they’re performing at. The best way to keep track of the acts you want to see is to keep a custom guide with you. The best custom guide that doesn’t need charging and will never get lost is one you can affix to your body via customized temporary tattoos. 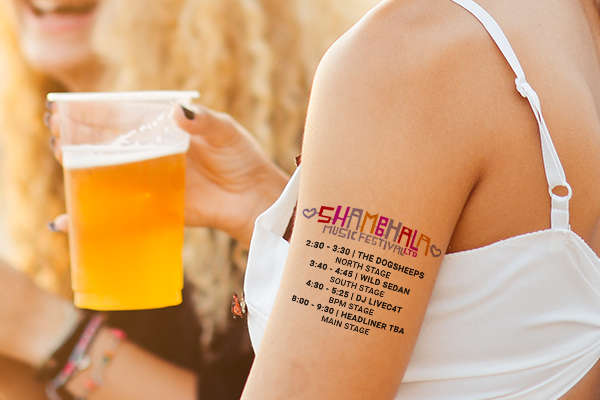 Temporary tattoo sheets of festival lineups are easy to create and send to clients ahead of time with the festival information or can be included at Will Call. Temp tattoos let clients easily cut out the acts, time, and stage of the artists they want to see and can tatt ‘em up on forearms, stomachs, or anywhere festival outfits won’t cover. Temporary tattoos are also waterproof and durable so they’ll last all festival long. 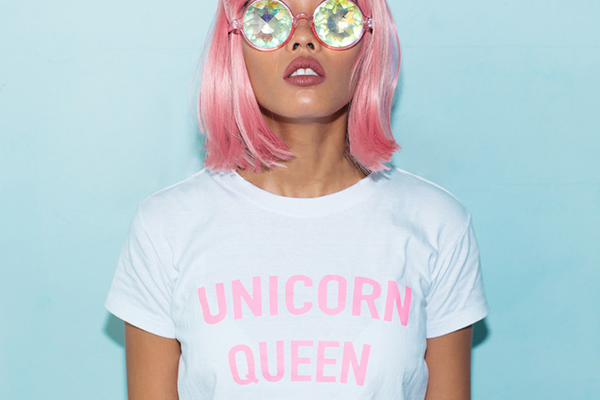 The easiest way to keep track of your festival crew and ensure you make it into every festival fashion blog is with matching custom t-shirts. Getting a crew’s aesthetic to match can be difficult when DIYing however, so to help aid the process offer festival goers custom Iron-On Lettering Transfers of either the festival name or of headlining acts. This way crews can divvy up letters evenly amongst themselves based on their group’s size and which act they’re most stoked to see. Iron-Lettering transfers have no background so t-shirts will always be of blog-worthy quality. It might be the case that festival crew members don't want to wear the same t-shirt or carry around heavy totems to keep track of their friends in crowded festival grounds. An easy and trendy way to show your festival pride is with customized badges. Badges can be die-cut in exact shapes, so festival and band logos or initials always stand out and look bold on accessories (and they’re magnetic backing also means they can be removed and reworn any time on any thing). A custom badge of your friend’s initial on their backpack is an easy way to spot them in a crowd if they managed to get to the front of the stage without you. 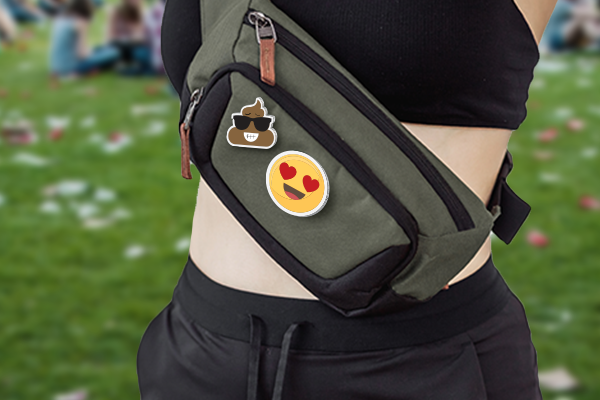 A fashion accessory that’s been trendy for literally decades of music festivals is of course the patch. Patches look great on everything including jackets, bags, hats, and naturally all over denim. Patches are also everywhere to be found at festivals, which makes custom patches an extremely lucrative and attractive item for festival going clientele. 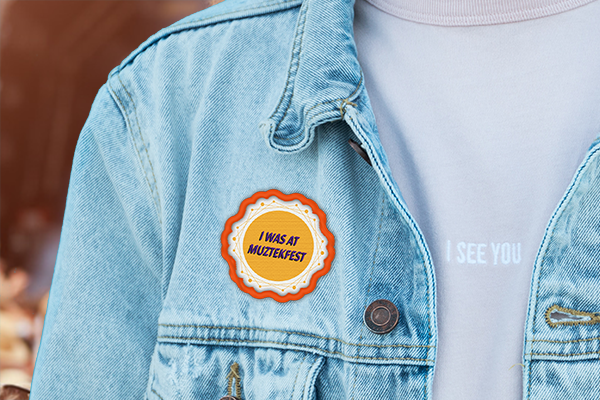 Festival logos, mottos, and especially the year of attendance can all be turned into trendy printed patches and are the perfect statement accessory for festival enthusiasts. You probably have a whole storeroom full of branded water bottles or canteens. They’re economic to produce and their functionality is priceless at a music festival. 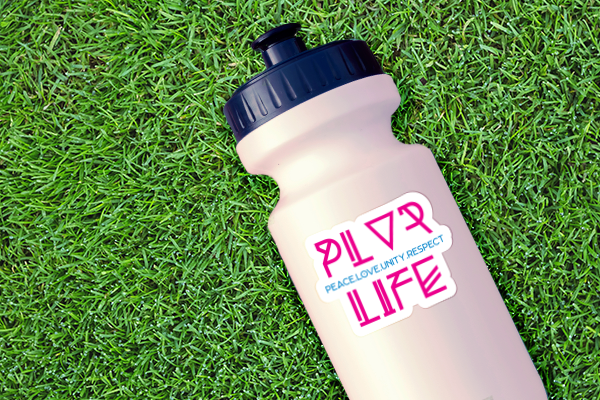 Not only will your clients be delighted to carry around their water bottles for much-needed hydration throughout the music festival, but your logo will be seen wherever the carrier goes which can influence positive brand recognition (this is super easy to DIY with custom waterproof stickers as well). Encourage attendees to stickerbomb bottles with all the free stickers they’re sure to get at the festival to customize their gear so they don’t get lost or confused for anyone else's.